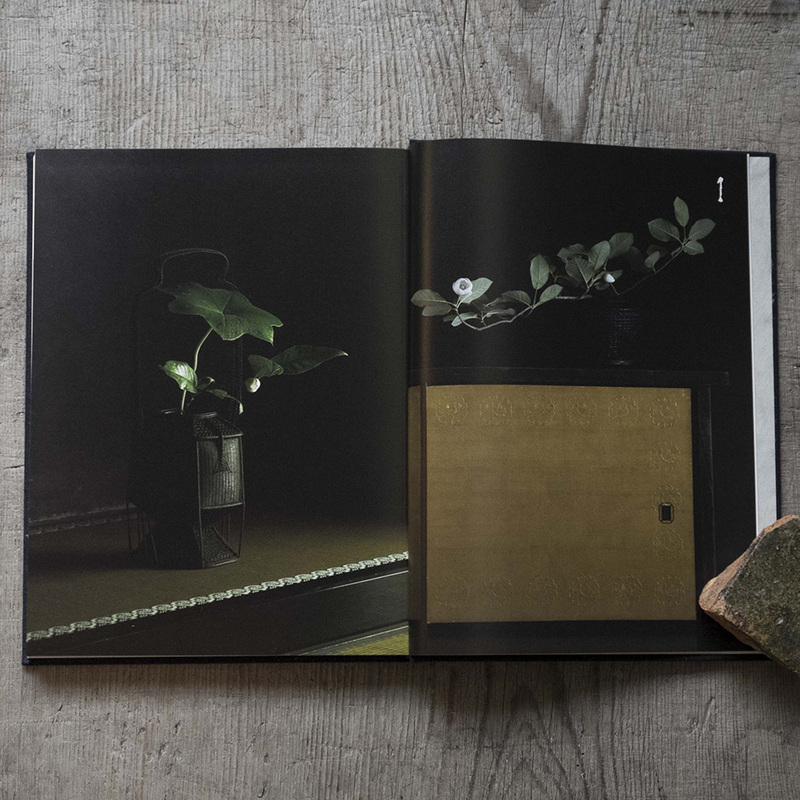 The theme of Ikebana in this issue, by Toshiro Kawase born in 1948, is Chinese antique baskets (Karamono-kago). They are baskets originally introduced from Ming dynasty China to Japan in the Muromachi period (1336─1573), inspiring many types of Japanese versions, including peony baskets, eared baskets, and baskets with a handle. Because their weave is so exquisite, they are said to be the finest of the kind. Accordingly, those baskets should be placed in special settings, for which Kawase has chosen the zashiki (Japanese-style tatami room) of the Sugimotos’ house (1870), one of the best traditional Machiya buildings in Kyoto. Kazumi Sakata born in 1945, the owner of ‘Antique shop Sakata’ in Mejiro, Tokyo, is also the owner of the museum ‘as it is’ in Chonan, Chiba. As part of its ‘permanent’ exhibition from 2015 to 2016, forty to fifty ‘sake’ bags were displayed on the wall. Those were from the Meiji and Taisho periods (1868─1926) and were used in the production process of sake (Japanese rice wine) or soy sauce: main fermenting mash were pressed and filtered in those bags. Through repeated use, those bags become tattered, but they were patched and re-used. Just as the selfless innocence of flowers in the Chinese antique baskets in the preceding chapter, these ‘sake’ bags seemed to have reached such a state. To me they are like ‘flowers’. 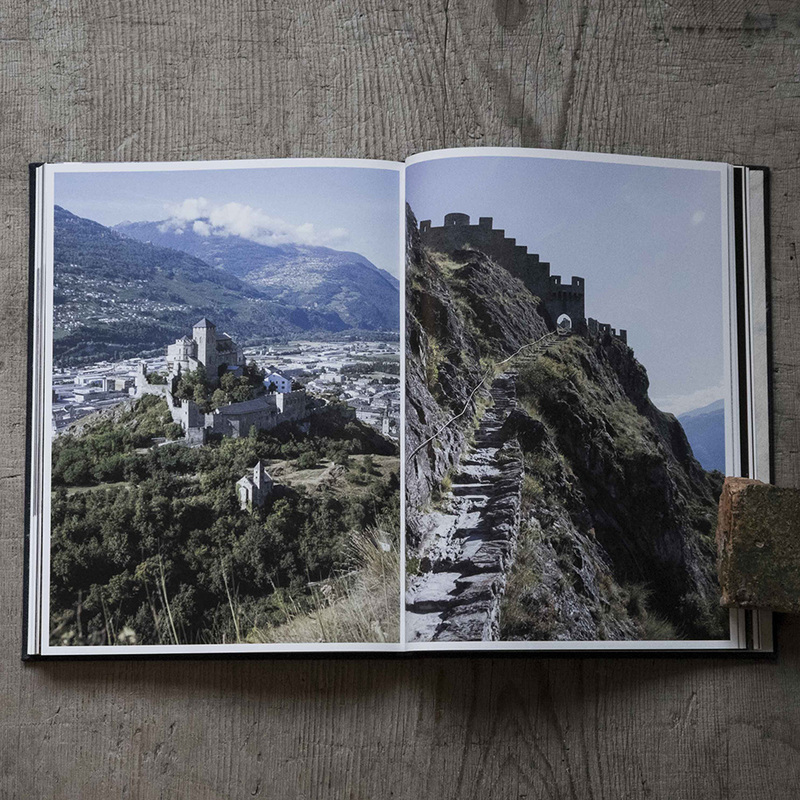 It has been more than a decade since I began travelling around Europe to visit Romanesque churches (almost every trip was made to produce books and articles with Momo Kanazawa, an art historian, and Minoru Ozawa, a historian), but this was my first visit to Switzerland. We drove through the German-speaking, Italian-speaking, and French-speaking regions. The country was much more mountainous than I had imagined. 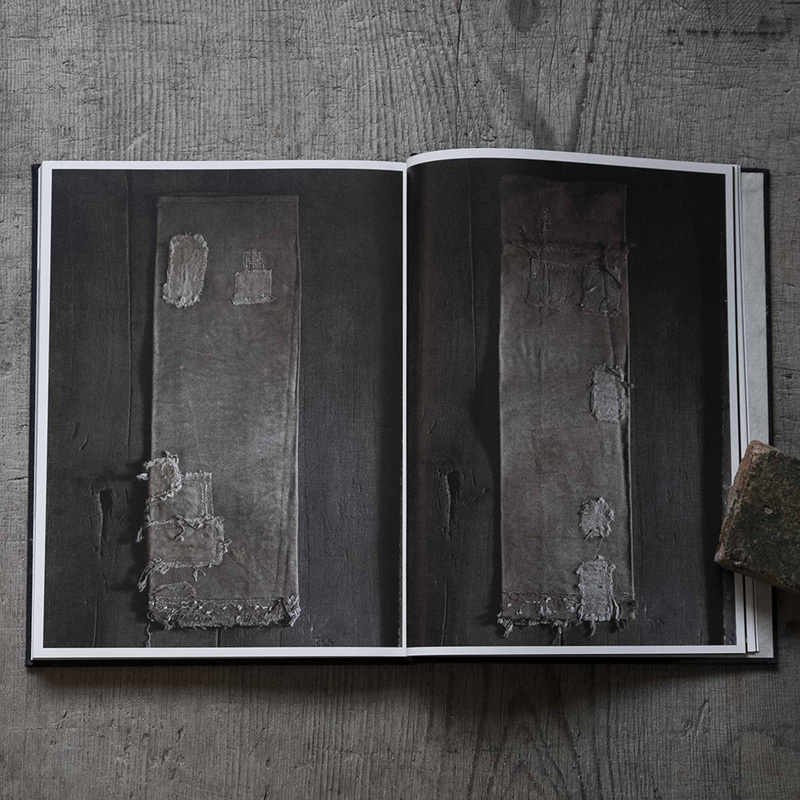 The book To Cherish Beside Me: The Private Collection of Antique Ceramics from the Joseon Dynasty by Takeji Nakagawa (1899─1994), a collector of ceramics of the Joseon Dynasty of Korea, was published in 1971 as a catalogue of his own collection. A limited edition of 700 copies was produced for private circulation. 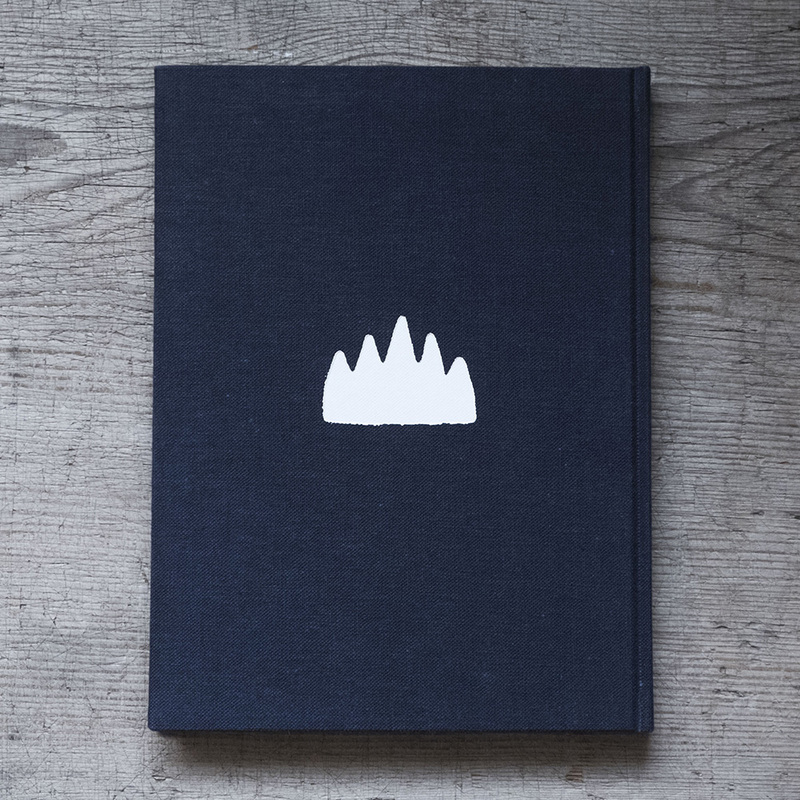 For this book he chose one hundred ceramics from his collection built up over around forty years and wrote a short essay for each item. As we all know, the Joseon porcelain came to be highly appreciated, and at the same time, the price of his book itself, craved by collectors of the ceramics as an indispensable reference, dramatically soared in the antiquarian book market (the reprinted edition was published in 2015 from Seigetsusha). The collection of Nakagawa was out in the antique market before his death and the ones discussed in the book are inevitably popular. Taizo Kuroda is a ceramic artist born in Shiga in 1946. At the age of twenty, he went to Paris. While working in a Japanese restaurant, he met Tatsuzo Shimaoka, a famous potter from Mashiko, who gave him a chance to train under Gaétan Beaudin, a ceramic artist from Canada. Thus his carrier as a potter began in 1967. 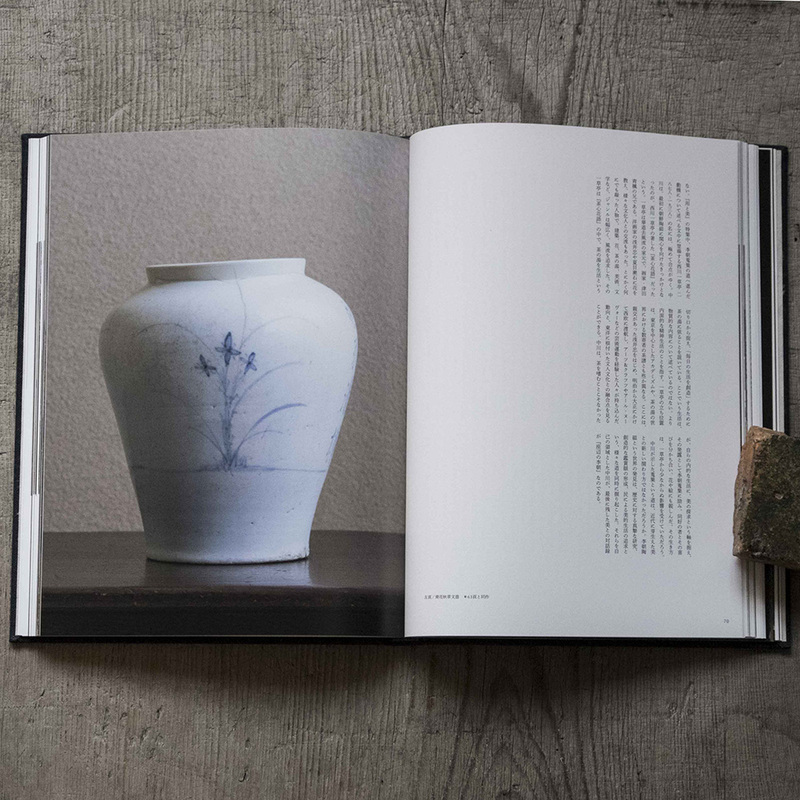 In his book Taizo Kuroda: Towards White Ceramics, he recalls those days: ‘I thought I might as well end up devoting my life to it’; ‘I was obsessed with “the potter’s wheel”’. In 1981, he returned to Japan and settled in Matsuzaki on the west coast of Izu Peninsula. His white ceramics painted with red, yellow, and green became popular, but he recollects that time and writes: ‘I was always wondering “There is something wrong, even false about the whole thing”’; ‘What is it that I really want to do? 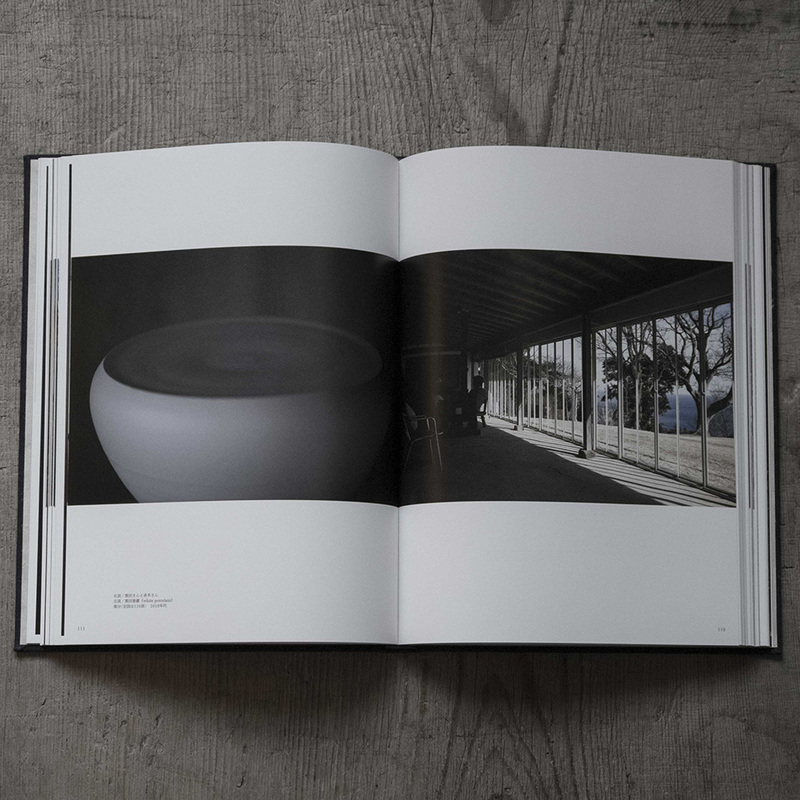 I questioned myself repeatedly, thousands and thousands of times, and in the end, I was absolutely sure that I loved white porcelains from the beginning.’ In 1991, he moved his studio to Ito of the peninsula and since 1992, he has concentrated on white porcelains. 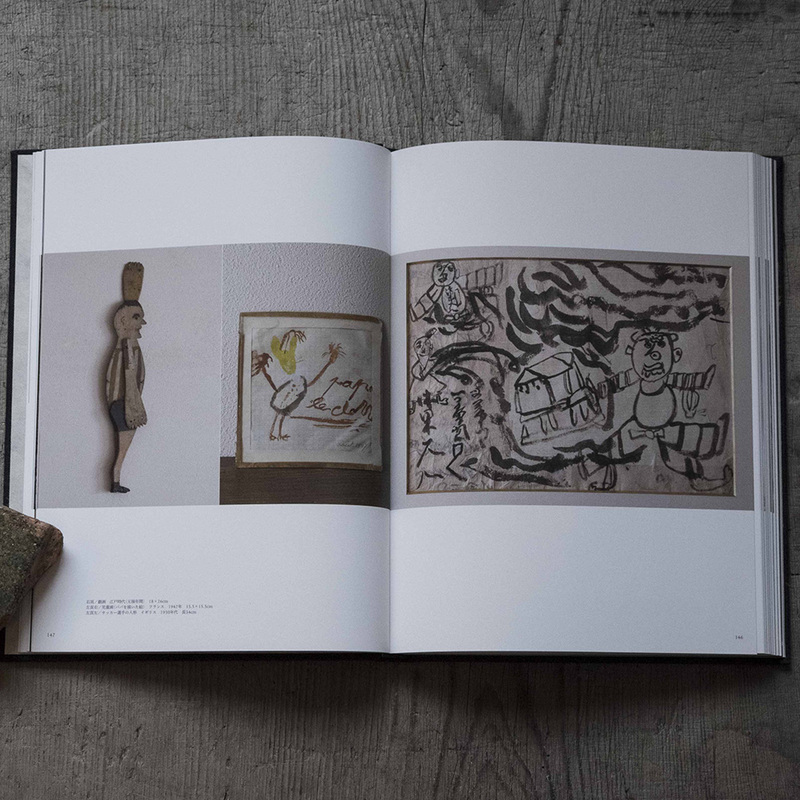 This is the fourth part of a biography of a French artist Robert Coutelas (1930─85) by a writer, Toshiyuki Horie. 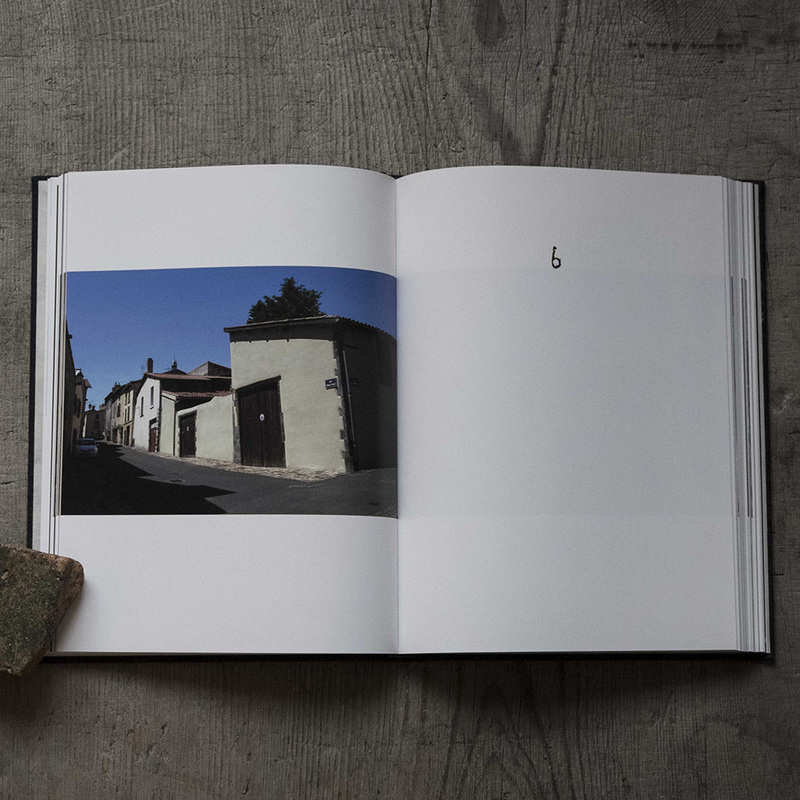 The previous issue was on Horie’s visit to Thiers in Auvergne where the painter spent his youth. He lived there with his stepfather. While working in a spinning mill, he collected old folkcrafts and began making wood sculptures himself. However, his stepfather’s denial of his passion in Art led him to two suicide attempts. When I visited, his place was exactly as my friend described. When I told him that, surprisingly, Fujita was not particularly aware of that. The theme of the article is ‘Antique, Body, and Children’. The architect, Yoshifumi Nakamura’s visit to his favourite museums continues. 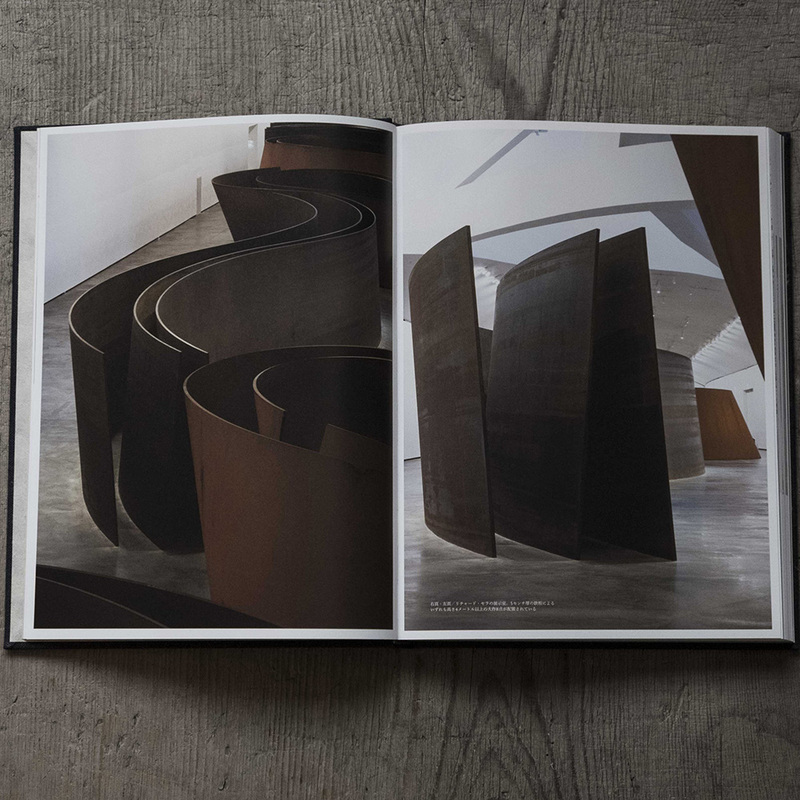 In this issue, we went to the Guggenheim Museum Bilbao, in the region of Basque, north of Spain. The museum opened in 1997, designed by Frank Gehry, born in 1929. Its permanent collection exhibits the art works by Mark Rothko, Jackson Pollock, Sam Francis, Anish Kapoor, Jeff Koons, and Louise Bourgeois. The Guggenheim Foundation in U.S. is renowned for their collection of modern art and runs museums in New York City (built in 1959) and in Venice (built in 1979). Copyright © kogei-seika All Rights Reserved.